an exploration of generalized violence in the region and its impact on assessing persecution on account of a protected ground. This conference is intended for judges/adjudicators of all levels working with member states’ asylum and resettlement programs. 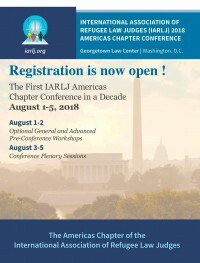 Join us in Washington, DC August 1-5 for the IARMJ Americas Chapter Conference.